Trials, burdens and dramas of family life. Intimate family relationships and relationships between partners are the traditional domain of slushy novels for women and girls. High-quality literature used to be a little wary of such themes, even disdainful of them. So attention is heightened when an author is able to grasp them in a way which is anything but straightforward, sentimental and traditional. 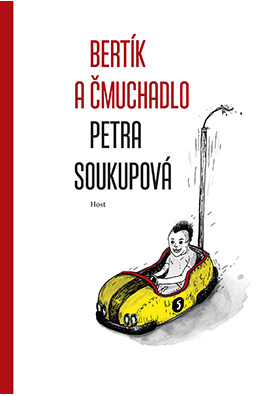 Petra Soukupová succeeds in all this in her very first book, K moři / To the Seaside. In her latest collection of three long stories, too, family relations are the central theme. This time the author has chosen to style the child as hero. In the first two stories the children are narrators, in the third, one of the narrators is already an adult, but her memories of childhood are focused. In all the stories the heroes are trying to cope with family trauma which distances them from their loved ones and forces them to search for their own identity and place within the family. But we are not dealing here with dramatic, filmic twists serving to turn the heroes’ lives inside out: the real existential dramas are played out within the characters themselves. The author is capable of drawing the reader into a space so intimate that he/she is able to share even the subtlest inner movements and look at them as real existential dramas. It may seem somewhat paradoxical that the language of the narrative tends to have an alienating effect, working like the cold eye of a camera; but by this means, too, Petra Soukupová shows off her talent as a storyteller. The new work with the succinct title Zmizet / To Disappear has assumed a position in contemporary Czech literature which will not appeal to readers who favour the straightforward, as it will force them to think about less dramatic moments in their lives. But one finds such things at the heart of all good literature. "I gulped it down from start to finish. (…) The stories Soukupová tells are at once plain and sophisticated." "By the masterly way in which she manages her small stage, Soukupová succeeds – using detail and micro-moment – in capturing the feelings of her characters and baring the motives behind their behaviour with a fidelity that sends shivers down the spine." "This author grabs the reader’s attention by her characteristic, highly unusual style. Information is relayed in short, truncated sentences which are not always true to the laws of grammar. But the reader who can adjust to the unfamiliar style will read this book in a single sitting." 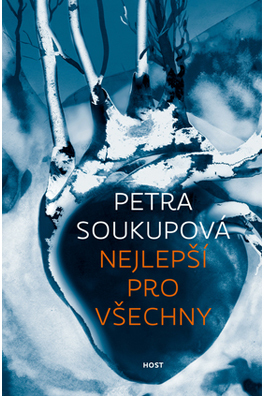 "Soukupová’s descriptions are masterly, both those of situation and those – i.e. most of them – enacted solely in the heads of her heroes. Uncompromising explorations of psychology appear to be mounted incidentally: a few trifles are described, a few thoughts and the manner of thinking are sketched in, but it is all so well-judged that the character takes shape and comes to life before our eyes." "Well-drawn characters with a surprisingly sophisticated psychology." "An appetite for writing and an obvious ability to retell everyday situations so that hidden tragedies are exposed – these are the strongest currencies of author and screenwriter Petra Soukupová. The reader of these stories by Petra Soukupová is captivated by the matter-of-factness with which the author describes events whose consequences are ruinous. Where she might have invested a scene with the grandeur of classical drama, the uthor uses the plainness of the diary entry; in place of declamation we get quarrelling that appears petty. It is always interesting and sometimes fascinating to watch how the trifling things pile up, how they “eat away” somewhere at the back the characters’ minds and guide them to the very edge of catastrophe." "The young screenwriter immediately grabbed the attention with To the Seaside, her recent debut. An undeniable talent, practically a revelation." Soukupová is a brilliant writer – where her tales might have been drawn into sentiment, she is as cold as the surgeon’s scalpel. The style and the language are unlyricized and undemonstrative, but behind them there is a hidden sophistication." "At first appearances her book is inconspicuous and so undemonstrative that it might be viewed as lacking ambition. It is not given the large-screen treatment, nor are we astounded by any cheeky little similes, twists of plot, or historical connections. Its effectiveness is born of movements within the soul and the injuries the soul endures. To Disappear has much in common with the author’s debut novel To the Seaside, which two years ago found itself among the nominees for a Magnesia Litera prize; this first work, too, captures in similarly matter-of-fact tones the horrors of communication within the family. This is pretty depressing reading which is full of wrongs suffered by one sibling at the hands of another, acts of spite and unhealed childhood wounds. The panel of judges describes the work thus: ‘Through the eyes of its protagonists, in a language that it is tragically spare, stripped of all verbal embellishment, pared to the bone, the work tells of events of the everyday that are simultaneously great human tragedies.’"
"To put it bluntly, I’ve several times been pretty disappointed by books that have won literary awards. 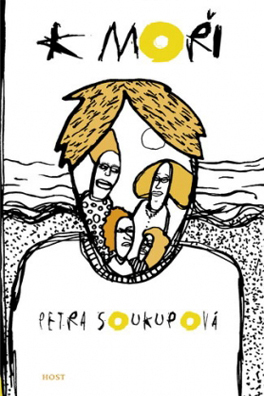 It was in a spirit of curiosity that I reached for Petra Soukupová’s To Disappear; so as to spare myself any feelings of frustration, I wasn’t expecting a great deal from it. Yet I read it in a single sitting, and for the first time in ages experienced reader’s chills, goosebumps, angst and relief. 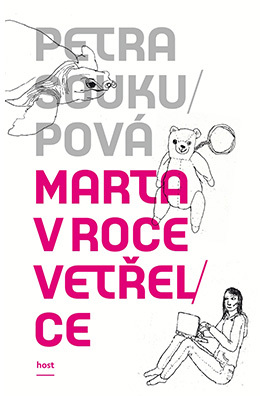 Petra Soukupová might endure for a long time with her topic of the many layers and variegations of family life today. This is a theme as insistent for the reader as it for the author; there is always something to write about, and Soukupová truly knows how to go about it..."
"We might say that the stories of To Disappear are told in a very simple way. The motif of leaving – together with entanglements and tales that surround it – has been used countless times in every type of literature imaginable. Having said that, this time it has been captured and wrought in a singular way that is very natural and fantastically convincing." 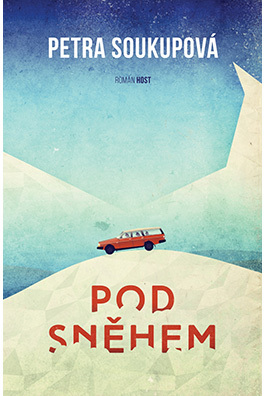 "Let us not beat about the bush here – in Petra Soukupová Czech literature has found a talent the like of which was lacking in the younger generation of prose writers. To Disappear, the author’s new work, is a highly original work of prose that surpasses by some distance her debut novel To the Seaside, for which she was awarded the Jiří Orten Prize. Among other things, we are reminded of how in the eyes of parents people never grow out of the role of the child, and how obstinate in its defiance the soul of a child can become if it considers itself the victim of a wrong. To Disappear is a book whose story is well told, in which narrative can be found in themes not present and experiments that proliferate on the peripheries. In the midst of the words and letters of its fragmented world, we are reminded of the true purpose of narrative fiction. For me, this is the main reason why To Disappear is the main event in Czech literature this year." 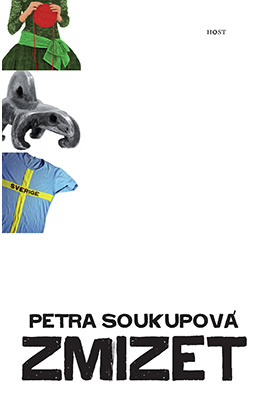 "Amid the floods of self-centred confessions that no one wants to hear, and the vain attempts to capture an attractive tale in exotic surroundings, Petra Soukupová’s work is refreshing indeed."